The only way to hold the govt to account is through the ballot box. Andrew Loh. 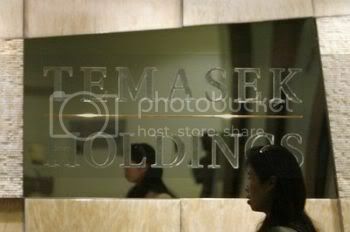 Temasek Holdings seems to be caught in a cycle of bad and inept decision making. In a country which brooks no failure, it is a wonder that despite the failings of the past few years, no one – at all – in the sovereign wealth fund has been held responsible. In February 2009, Temasek reported a 31 per cent fall in its investment portfolio – and this was only for the period March to November 2008. Its original portfolio was S$185 billion. It now stands at S$127 billion. We still do not know how much in total it has lost from December 2008 to July 2009. A $58 billion loss can be turned, with just a few words from the Finance Minister, into a $56 billion gain – overnight. The latest twist is the resignation of Mr Charles Goodyear which again is shrouded in mystery. Despite the mainstream media’s spin on it, it is clear that Temasek has serious management problems – both in its renewal process and its investment acumen. So, where do we go from here? Singaporeans seem powerless to hold Temasek, and for that matter, the GISC as well, to account. Our Members of Parliament too are either inept in questioning the government or are just as helpless. The mainstream media, being a state-controlled propaganda apparatus, cannot be counted on to provide any meaningful role in this. Singaporeans must realize that it is dangerous for an organizations such as Temasek and the GISC to be in charge of half a trillion dollars of their money, make huge losses and remain secretive. It is dangerous because, in a time where financial scandals can bring down giants in the industry, and with no political accountability in the system, those who are responsible for such losses remain at the helm, and indeed seem to enjoy the support of those in government. Perhaps the only hope which Singaporeans have in making a serious statement that they want more openness is at the ballot box. But the question is: Are Singaporeans angry enough? Are they angry at all?